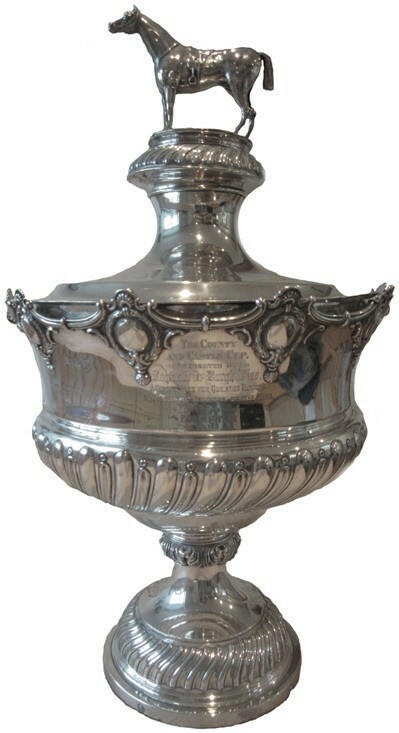 This late Victorian silver trophy above will be offered at Batemans of Stamford in Lincolnshire on December 1. The 21in (53cm) high piece estimated at £2500-3500 weighs approximately 77oz, is surmounted with the cast model of a horse and is engraved The County and Castle Cup, Won By POLE STAR 1891. Items connected to a ‘dangerous Suffragette’ will go under the hammer at Wolverhampton saleroom Cuttlestones on December 7. 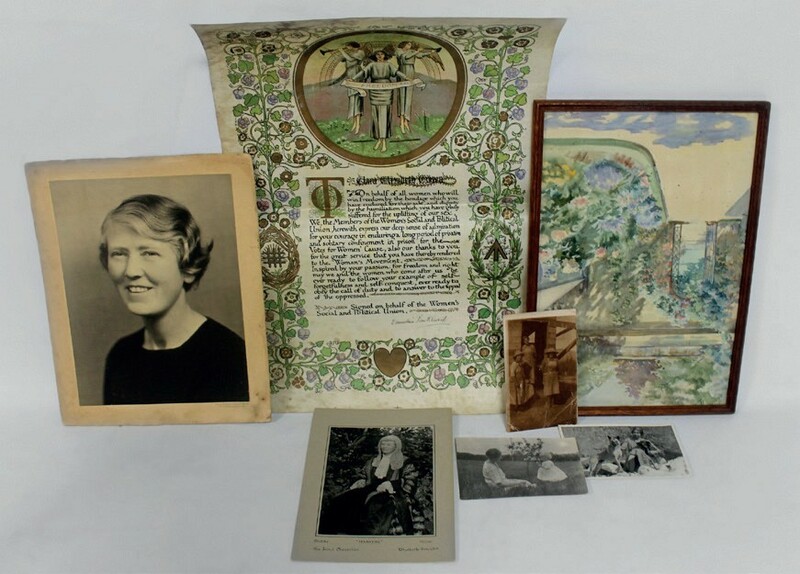 The items relate to Clara Elizabeth Giveen, and include photographs, a framed watercolour and an illuminated Suffragette address signed by Emmeline Pankhurst. Branded by police as one of the most dangerous Suffragettes, Giveen joined the Women ’s Political Union in 1910 and was a militant supporter – taking part in protests and the suffragette’s window smashing campaigns. She is best known for her part in burning down the grandstand at Hurst Park Racecourse in response to the death of fellow Suffragette Emily Davison – who died after she was trampled by the king’s horse at the Epsom Derby. Designed by Gabriele De Vecchi c.1980, a 21in (53cm) high hard stone box, topped by a pair of silver elephants carrying a large quartz obelisk, will be offered at Bristol Auction Rooms in Brislington on December 6. Piero De Vecchi founded the De Vecchi atelier in 1935, and to this day the Milanese studio remains in the family. De Vecchi’s son Gabriele, an artist and kinetic sculptor, joined his father in the workshop in 1957. 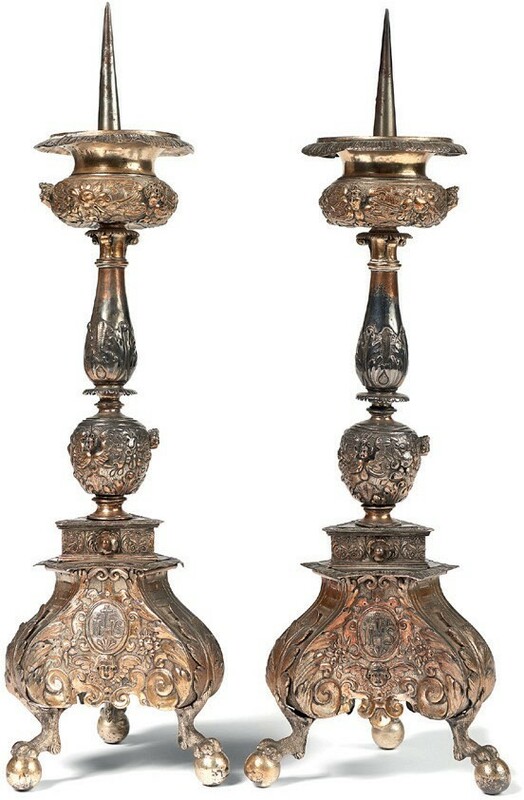 These Baroque altar candlesticks above were made for the Goubau, an important family of Antwerp merchants. Bearing the family’s arms, the candlesticks date to c.1625-26, a time when the family had increased its wealth and civic status through trade and intermarriage with other leading families. In 1633, they were elevated to the nobility by Philip IV of Spain. Commissioned for one of the family’s domestic chapels at den Wolsack in Antwerp or Cortewalle and Ten Dorpe in the country, the 16in (41cm) high pair will be offered at Mellors & Kirk in Nottingham on November 29, estimated at £4000-5000.